An incredibly rugged offering from Mitsubishi, the Shogun is available in both long and short wheelbase versions and is a superb choice for drivers who need a vehicle that won't give up when the tarmac runs out. This premium workhorse comes well equipped and as a result of its size you won't struggle when it comes to carrying passengers or equipment. 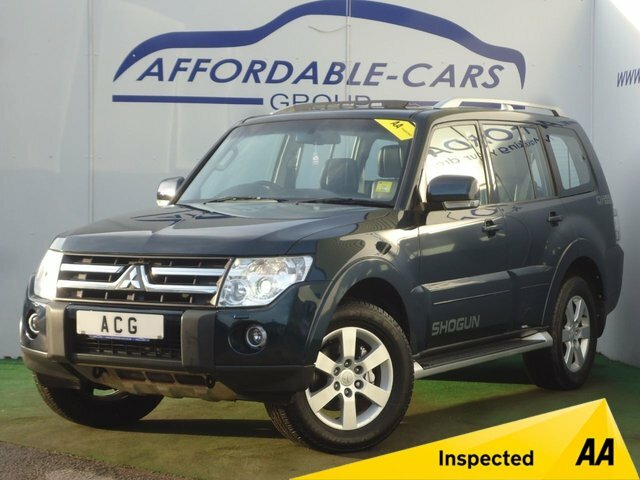 Why not arrange to take a test drive in one of the used Mitsubishi Shogun models for sale in York? Here at Affordable Cars (Yorkshire) Ltd we stock a great range of quality second-hand vehicles, with options to suit all budgets.